Danke Cousinchen, dieser Butterflycoin geht nun mit mir auf den Camino del Norte am 3. April von Irún, Spanien. Wer immer ihn dann von mir übernimmt, möge ihn in die weite Welt tragen. "Es ist gut, dass die Liebe scheitert, denn das Scheitern der Liebe führt Euch zwangsläufig auf eine neue Pilgerreise." (Osho). In diesem Sinne "Vamos"! JodyJ, Sellersburg, Indiana, March 26, 2019 I recieved this coin from my friends at Friends of Felines. Little do they know how much they have done and do, not only for the cats, catdog, horses, donkey, goat, peacocks, ducks, geese, etc... but for each other and the humans on the other side of the camera. All of them doing what they do everyday has brought joy, tears, excitement, and friendship to so many on the other side of the cam & brought everyone into the FFRC nation. Recieving this coin from special friends, who after all that they do everyday, thought of sending it to me. About my good deed, I am a nurse, I care for the ill & dying. It's my job, I was trained how to do it, but it's just a job until one day you find that you care more for the people your caring for than you once did. After a 12 hour shift & caring for a person that was dying, who had no family, I stayed for 5 more hours (off the clock) to hold her hand until the end. I wasn't asked to do this, but I felt she shouldn't be by herself when it was time. This beautiful butterfly coin was sent to me by my friend Donna.I met Donna when my son Brandon passed away in 2006. Thoughout the years and tears she shared her compassion and kindness with me.Brandon sent me a special guardian angel to walk through this journey with me.I miss him everyday . The friend I'm sending the coin to shares her talent to bring others comfort and healing.Although we never met I feel we have through our angels. She has a special angel in heaven watching over her...hugs ..fly high beautiful butterflies. I received this coin from a wonderful, resilient woman who flew across the county speaking out, even though the message is not always popular. She is kind, powerful, and beautiful. I am blessed to know her. I will pass it on when the time is right. I decided to give this coin to my best friend who now lives in Naples, Italy. The point of this coin is to pass on acts of kindness, well, Kristi, is the most kind person you will ever meet. She is the sweetest, nicest person I know. She treats everyone like she has known them forever. She will give you the shirt off her back. She will go without a meal to feed others. She is the best person to pass on this butterfly coin for acts of kindness. Love you Kristi Lynn! Thanks for a fabulous time in Italy. Thank You Jenna for the beautifully designed butterfly coins. Thankyou so much for remembering our daughter Megan. You are a true friend. Thankyou for all your prayers and your kindness! I love my new butterfly coin. My neighbor and good friend Tina gave it to me for my #49th and I treasure it! We both love butterflies, both teach science, and both know the value of nature (and friendship). I'm giving this coin to someone who has more grit and reslience than anyone I know! With all the challenges you have faced--medical issues and concerns with your children--somehow you keep on going and you never let it get you down. Thanks so much for all you to do help me at Tobin. And you are a model to me of how to keep on going--even when times are tough! Received this coin from the sweetest friend! Thanks Michele Webb! We were so excited to receive this coin as a gift and prayed about what to do with it. Christine is always doing things for others and we were happy to have something we could do for her, as well as give her a way to see the ripple effect of her kindness! Received this from a special friend of mine. She came into my life several years back by accident really, and has been a blessing. What a special gift true friend ship is. Tulalip, WA - I received this coin as a birthday present from my best friend, Beth. I'm going to enjoy it a few months and find someone very special to give it to. This butterfly’s journey will start with my friend who has a kind and generous heart. She is always doing random acts of kindness and I know this butterfly will have an amazing journey! I was given this coin at church on Sunday by a lady who raises Monarch Butterflies and sets them free each year. I received this beautiful coin from a very special person in my life .I met her through the internet .I fell in love with her sister and her son Timmy whom now is in heaven.Me and Ina share a friendship on Facebook and she is more than a friend to me she feels like my sister .And receiving this beautiful butterfly was so special to me as I will send it on it's journey to another town Wyoming co Wv. To a very special friend Elizabeth Stafford she is a very loving and caring person one whom will help you in any way possible she has a huge heart of Gold so today my Butterfly will be on another journey.Thank you for the Love Ina and off we go . I have passed my coin to my son for his 55th. birthday,he's fighting cancer right now. But I know he's going to be ok he has God on his side. Arrived in my mailbox today, from a dear friend so far away. I shall carry it always to pass on when i have helped someone. I am sure they will enjoy being the temporary holder until they pass it on as well. I have a chance to pass it on to my lover, and my friend. I know that decision that I have made in life isn't always perfect, as a matter of fact some decision is frowned upon. Even though I have made a soul bond, and life pack with this woman, and nothing in the world would be able to break that. I love you Alicia, you are forever the woman that changed my life for the better. To success, and the good life. 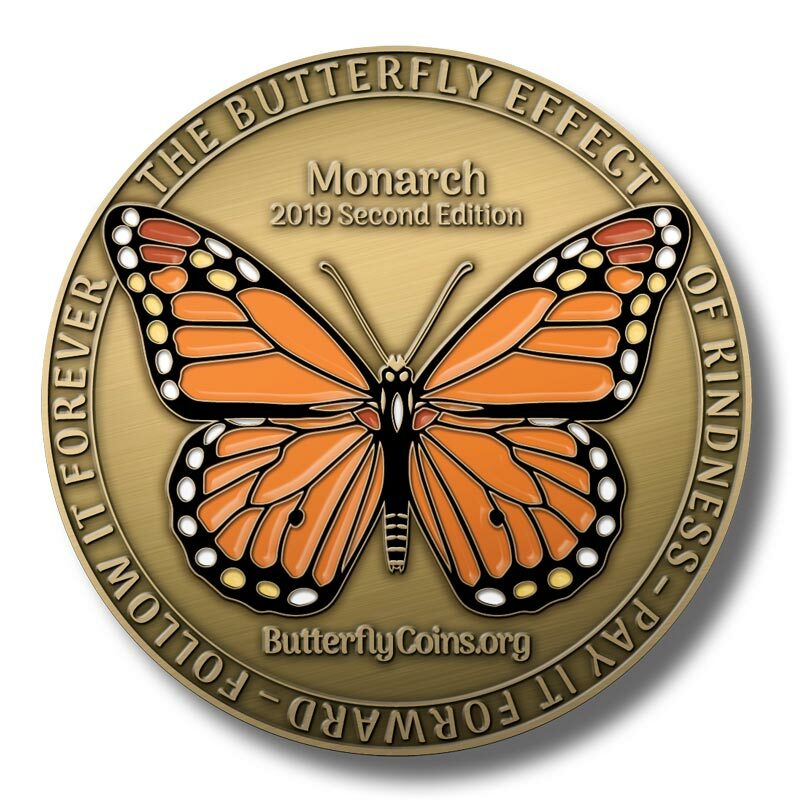 I received this beautiful Butterfly coin from my dear friend Barbara for my birthday and just thought the whole idea was beautiful and especially since Butterflies have a very special place in my heart. I have carried it around waiting for the right person to pass it on to and I am giving it to Kris, because she is not only caring, loving and unconditional she exudes kindness. I received this beautiful coin from my mother while visiting her in March 2019. 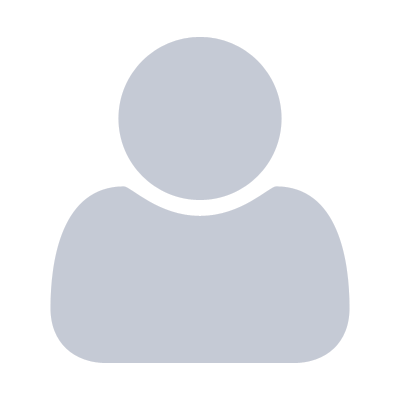 I am currently working as a family nurse practitioner in Emmonak, Alaska. I will be leaving this village - where I've been living and working for the last 7-8 years - at the end of May and relocating to Behchoko, Northwest Territories. I’m starting this butterfly on its way by giving it to my daughter ... an ARNP who works in remote First Nations villages. There is no one as kind, as giving, as loving in my world. On March 3, 2019, Nicole gave me this coin and paid for my dinner at Max's Restaurant (after having Margaritas to celebrate the new topper for her truck!). Oh yeah, she bought the Margos too!